The State of New Jersey now requires that all businesses performing tree care must be approved and registered by the New Jersey Board of Tree Experts. 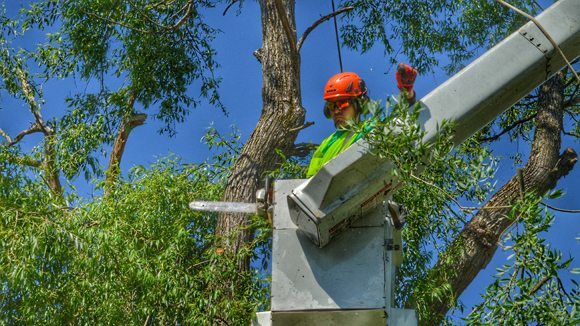 To protect consumers, HOAs, and businesses from unqualified tree service companies performing work in New Jersey, the state has passed legislation. This ensures the tree service you hire will have the essential credentials as required by law. Registered tree care companies are also required to display their NJTC registration number on service vehicles used to perform tree care services and in their place of business. The NJ Board of Tree Experts has urged consumers to thoroughly check the credentials and insurance of anyone they intend to hire to do tree work on their property. It’s mandatory to hire a tree care business that is registered with the state of NJ and has employed a Licensed Tree Care Operator if you intend to have them perform any of the services listed above. Any work on your trees should be done by skilled, trained and insured professionals, for the health of your trees and for safety and financial protection. So be advised, only a Tree Expert or Tree Care Operator with an Active certification or license should be retained to provide services. Trees Unlimited is Licensed and Registered with the NJ Board of Tree Experts and we have a passion for tree care.